When I read Closing Arguments a few months ago, I was left wanting more. 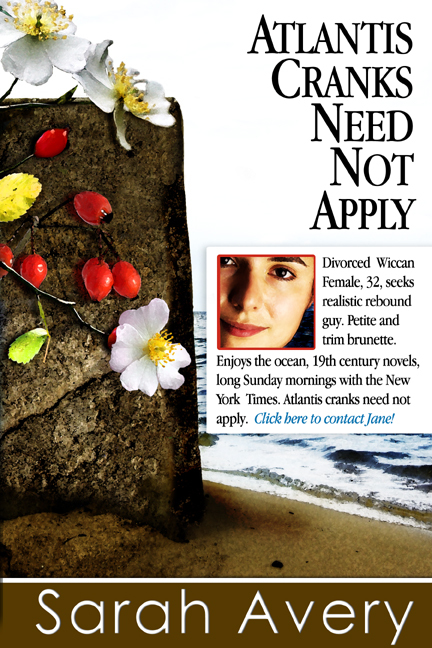 With Sarah Avery's follow-up to that novella, Atlantis Cranks Need Not Apply, I was left salivating. It started off a little jarring and choppy, but once I got into the story, it smoothed out and held my interest to the point of barely doing anything except turning pages and breathing. We rejoin Rugosa Coven after a few weeks or months has passed, and the story protagonist shifts from Bob to Jane, who is still rebuilding her life. When the Coven discovers an injured naked man on the beach following a ritual, Jane and Sophie take him in to nurse him back to health. The novella takes place over a two-month period, ending just before Samhain, the end of hurricane season on the northern Atlantic seaboard and all its omnipresent dangers, something which figures prominently into the story. We see the soul-deep pain that Jane carries around and discover more of her cynicism and darkness, and we get to see some of the transformation of her faith. As someone with an overly-defined sense of cynicism myself, it was heartening to see it change organically, and not forced. More of the kinship inherent in a tight-knit coven comes to the forefront, and helps to make the history of the coven, something I felt was missing in the last novella, not necessarily unimportant but more felt. The history of the coven is just there and not a needed element. I look forward to the third installment.